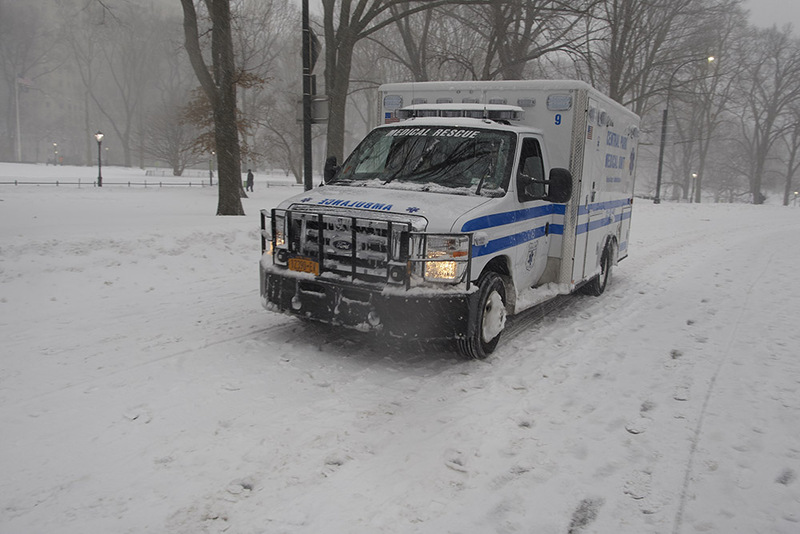 The Central Park Medical Unit is to a bona fide EMS Ambulance what the NYPD Auxiliary Unit is to the NYPD Police—a complete fraud. Like the NYPD Auxiliary, the CPMU is comprised of volunteers dressed up to look like real EMS and allowed to operate a real looking EMS vehicle to give the public a sense of security that is absolutely false. Some people, whether this is already known or not, may not see any problem with this deceptive arrangement. Perhaps people, like myself, would see a major problem with this when you realize the quality of men and women that are selected for these services. Immature, irresponsible urchins who delight in driving around the park with the least amount of discretion and just out to be a public nuisance. They know that their reckless behavior will hardly be ever questioned since they will almost always be believed to be responding to an emergency. What is difficult for me to accept is the fact that the NYPD condones this imprudent behavior. There should be a limit to this dangerous game they play and Saturday January 23, 2016 was one day that this game should have been banned. Saturday when all vehicles were asked to stay off the streets these CPMU vehicles did not use their discretion to stay away but rather drove around the slippery park creating unnecessary stress for park visitors who came to the park to enjoy the rare snow storm.